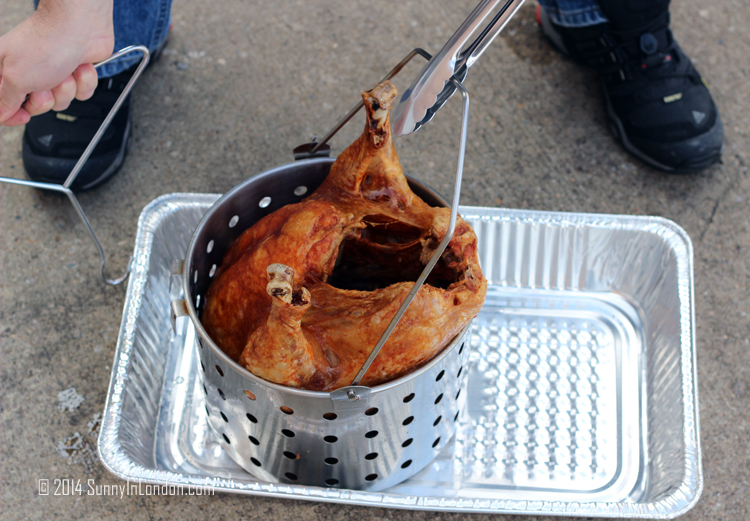 Why would you ever want to know how to fry a turkey? Well, if you’re curious about how Americans celebrate Thanksgiving, it could be a damn good question. Thanksgiving in America is huge. In fact, many Americans will tell you it’s their favourite holiday. I am one of them. Why? Probably a lot of reasons, but it’s mostly because it’s a day filled with family, food and football. Last year Mr. Sunny and I got married in America two days before Thanksgiving. So, that’s when I started being badgered with tons of questions from my future British husband. He just couldn’t seem to get his head around what Americans do that day, especially with regard to food. – Review all the Black Friday shopping adverts in the newspaper. Create a solid plan for shopping the next day. – Set the Thanksgiving dinner table for my mother. – Change in to pants (‘trousers’ for my British mates) that have an elastic waist band. – Eat turkey, stuffing, mashed potatoes, cranberry sauce, and pumpkin pie until even the elastic waistband feels like it will snap. Mr. Sunny thought this was so mystical. For me, it was tradition, except for one thing. When my sister got married, our Thanksgiving changed a bit. 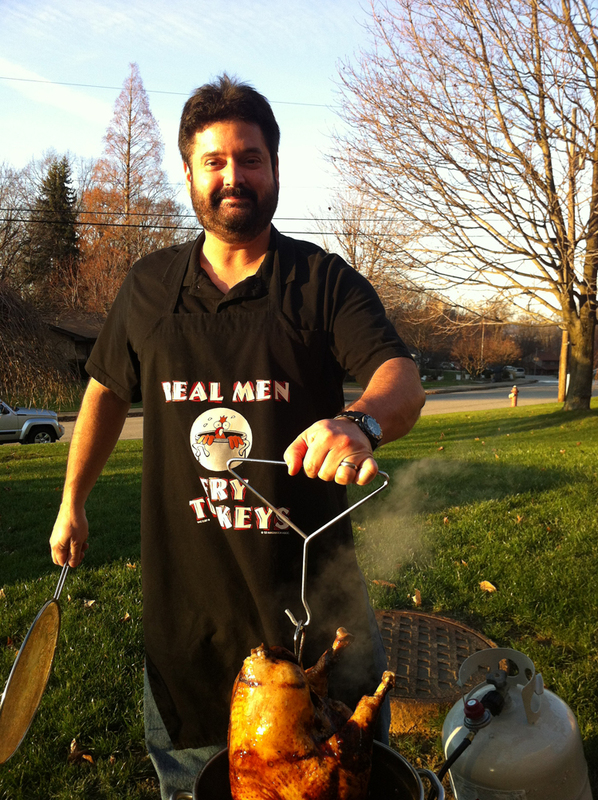 Instead of roasting a turkey all day in the oven, my mother agreed to let my brother-in-law take charge of the bird. No one is ever allowed to step in my mother’s kitchen. However, Mr. Brother-in-law explained to her how to fry a turkey, and my mother said he could. Not many Americans do this. I don’t think. 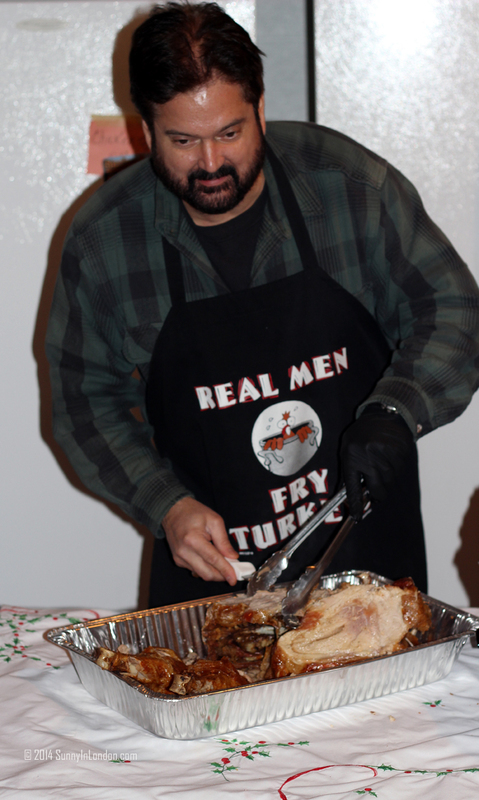 Therefore, my brother-in-law is regularly asked the steps for how to fry a turkey. In a joint effort, we’ve constructed this post for curious British people and even Americans. It features his recipe, including commentary and pictures from Mr. Sunny. I take no responsibility for what follows. 1. Use 100% Peanut Oil, which tastes best. A hybrid will work. 2. Use a turkey with a max weight of 15 pounds. Mr. Sunny: Open and drink a beer. 3. Carefully inject the entire turkey in all deep muscle tissues. Use 1/2 jar per bird. Mr. Sunny- Open and drink a beer. 4. 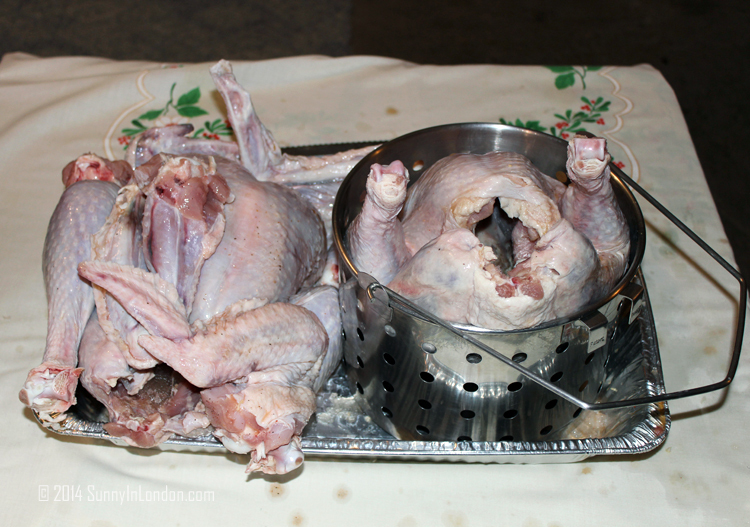 Cut the wings off at the knuckle joint and fry after the bird is done, usually while the body is being carved in a serving tray. (If this is not done, the wings will be over cooked and are fit to be thrown away.) Mr. Sunny- Open and drink a beer. 5. 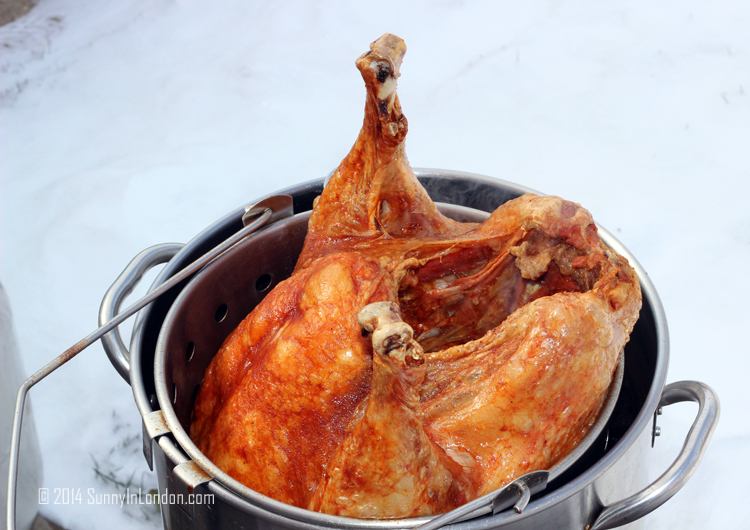 Place the remaining turkey body on the fry stand or basket and orientate it so it is as low as possible. 6. 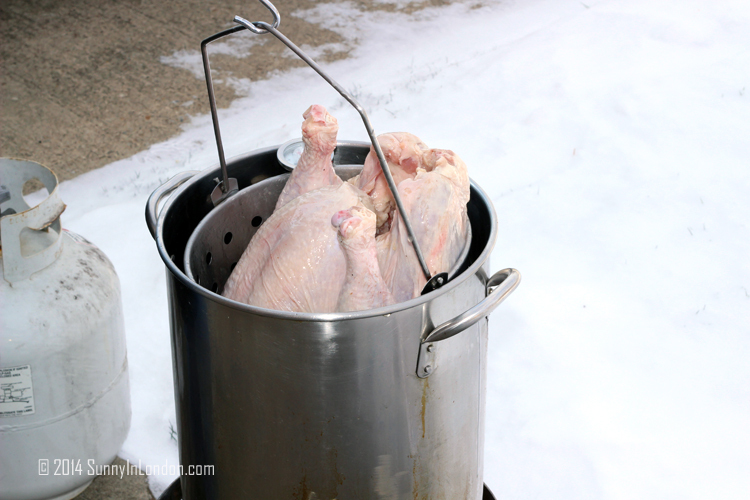 Place turkey in cold fryer pot and pour in oil so the bird is completely covered with minimum amount of oil above bird. 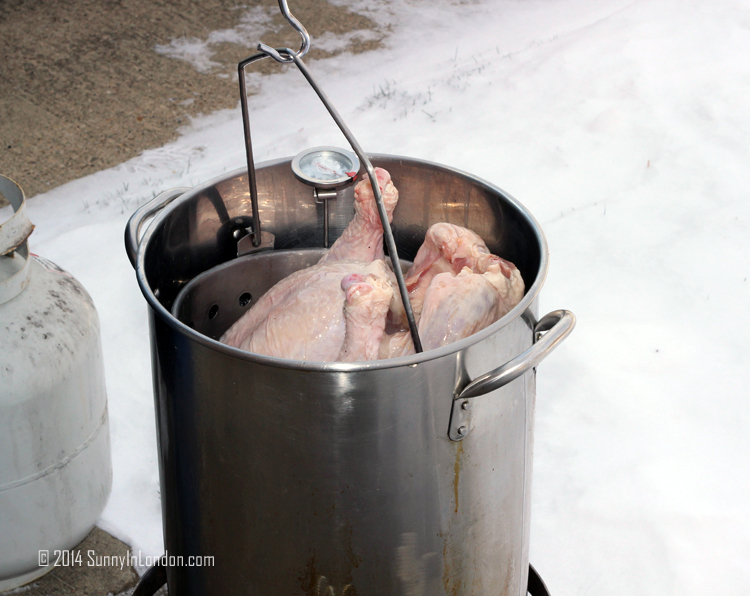 If you are cooking multiple turkeys, use the largest one for this initial oil level set up. This is done to insure the oil level is correct so when you dip the bird in hot oil it does NOT spill over on the open flame and BURN DOWN YOUR HOUSE (as seen on YouTube.) Mr. Sunny- Open and drink a Beer. 7. Remove while draining oil back in fryer and place bird in staging area pre-set with paper towels to absorb any residual draining oil. This can be a bit messy, but it is only required for the first turkey. If a second turkey is near the same size, it can be cooked in the already measured oil. 2. 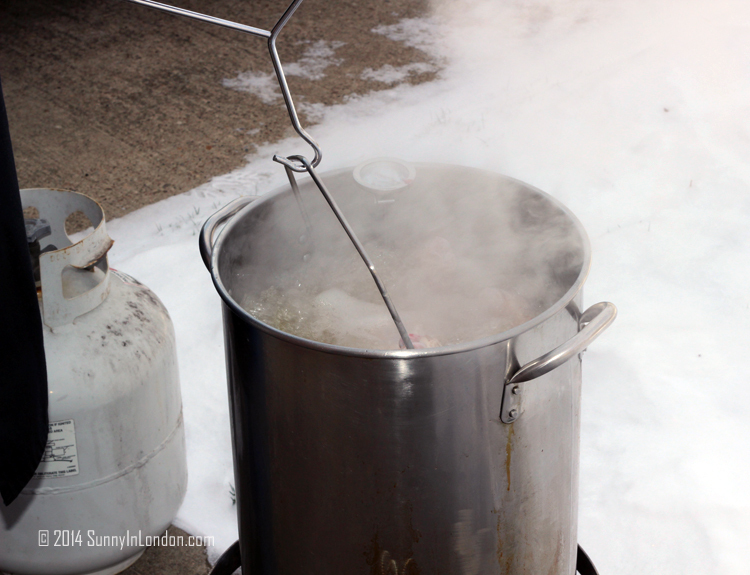 SLOWLY> Using the hook handle, lower the turkey into the oil. Steam will pour out and will boil when this happens. 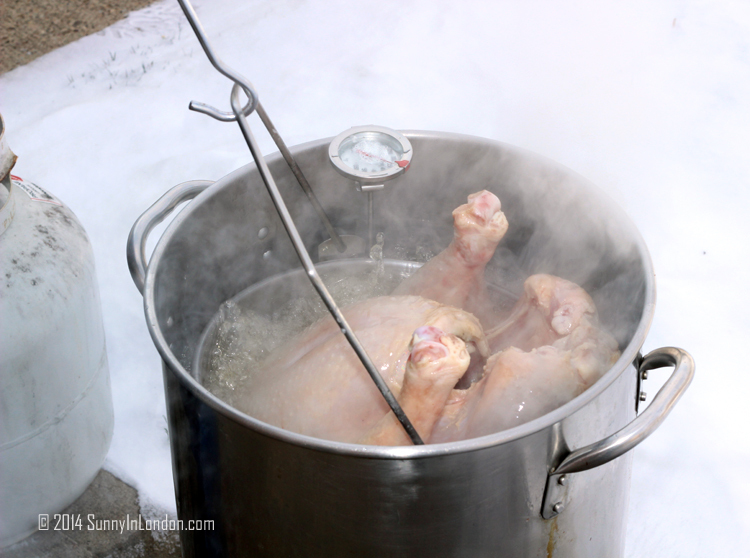 -STOP- and hold the partially inserted bird until the boiling slows. 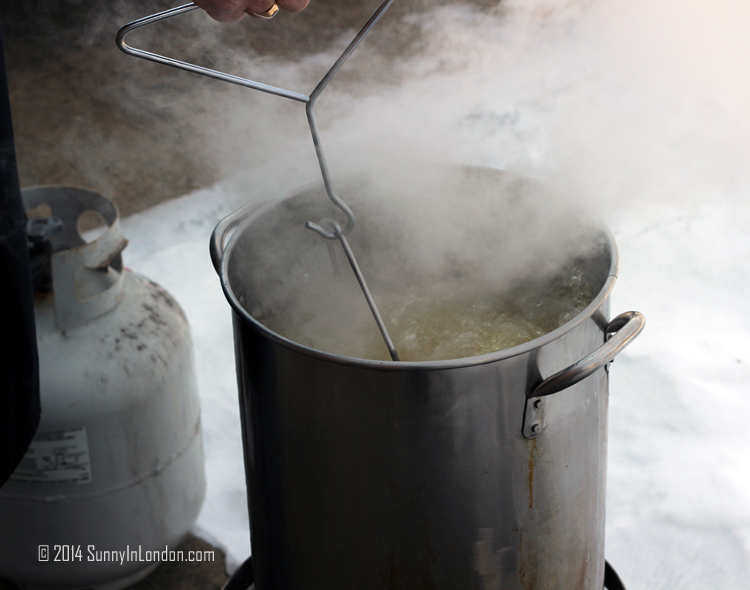 Then, continue to lower a little more so that you minimize the excessive boiling. This may take 3-5 minutes and 2-3 stops to make a controlled lowering until fully submerged. 3. 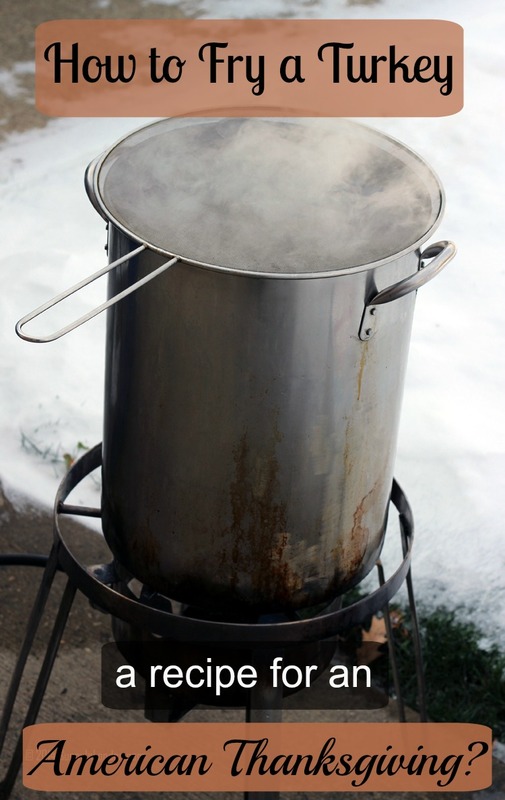 At this point, if you have a splash shield, use it now to cover the fryer pot to minimize any splatter until most of the water has evaporated. 4. 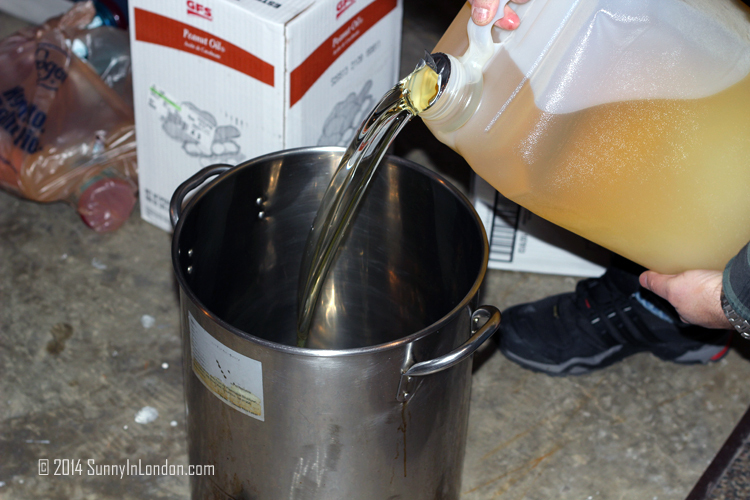 The oil temperature will decrease to about 280°, which is normal. Keep the burner on full until it again reads 350º. 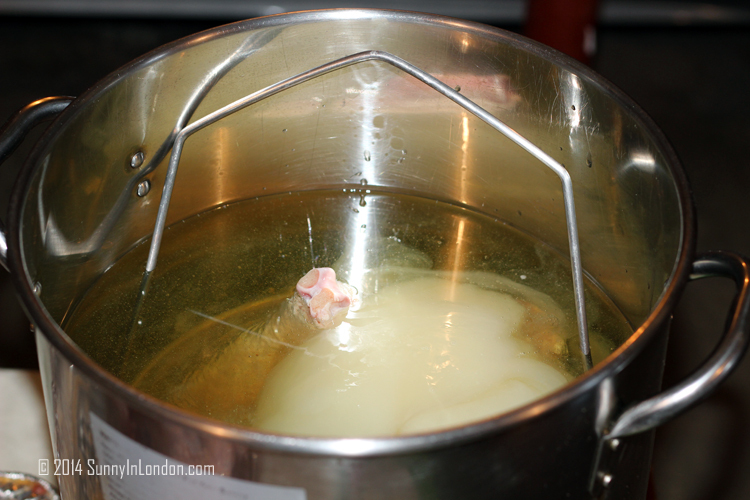 Then adjust burner to hold at 350º. 5. Mark the time turkey was fully submerged. 6. The turkey will be done in 50 minutes depending on outside temperature and other factors. However, at 40 minutes you can use a separate meat thermometer and check deep into the leg joint until a minimum of 160º is reached. Slowly lower back if it needs more time. Note: Used oil cooks faster than new oil. 7. Remove bird with hook handle slowly allowing oil to drain back into fryer and place on tray. 8. 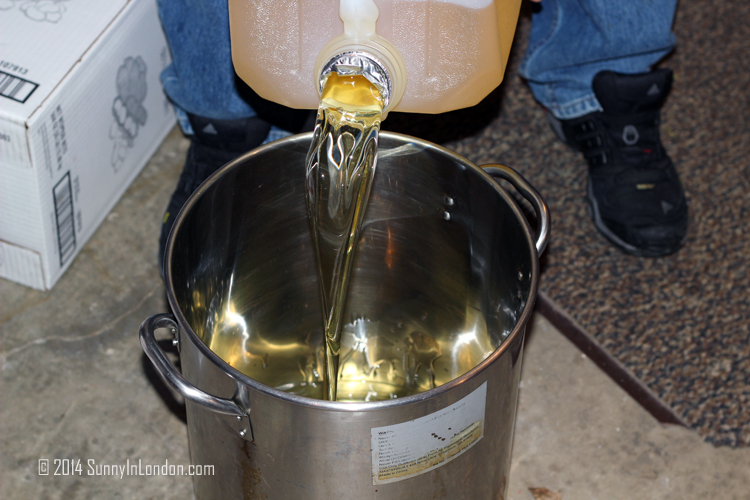 Place the next turkey or wings in the oil. Do wings last- fry for about 10 minutes, or until they float for 5 minutes, or they look nice and brown. Pull one and cut at joint to check. Just put back in until they are done to your liking. That’s it! Carve up and enjoy! – big game animals from a moose to deer to several turkeys with a modern compound bow as well as long and recurve styles. – road racing. began in 1985 with a Freddy Spenser riding school. Currently, he races two 1980’s vintage bikes as well as a new KTM RC8R. Mr. Sunny’s Disclaimer: No birds were harmed in the filming of this event. Sunny’s Disclaimer: Please count the amount of beers Mr. Sunny had during the filming of this event. 5 Reasons to Love Kiehl’s for Christmas! I’m looking forward to Thanksgiving. I’m out this year — sometimes I’ve worked through it and have also taken it off to cook a roast and have a quiet day at home. I couldn’t resist doing something a bit different this year. 🙂 I’ve never actually cooked or fried a whole turkey!!! — I just get the “ready meal” ones from M&S as they are more than large enough for the two of us. We got married in the states at the end of July and then we had a party back here in the UK two days after Thanksgiving Day three years ago so that friends and family here (who could not make the states trip) could celebrate with us.